Main series. Short stories. Serials. Prequels. Sequels. Series Outtakes. Spin-offs. As more companion stories are added in the Threshold Series universe, overlaps and crossovers continue to emerge. This page is intended to help you keep important tidbits straight. Take Care! If you haven’t finished reading the main series (Threshold Series, Books 1-4), you may run into spoilers below. Sage and Song ♦ During Israel’s golden age, two angels quietly take up residence in the royal household. Asaph and his apprentice have been Sent to record the songs that are David’s legacy. 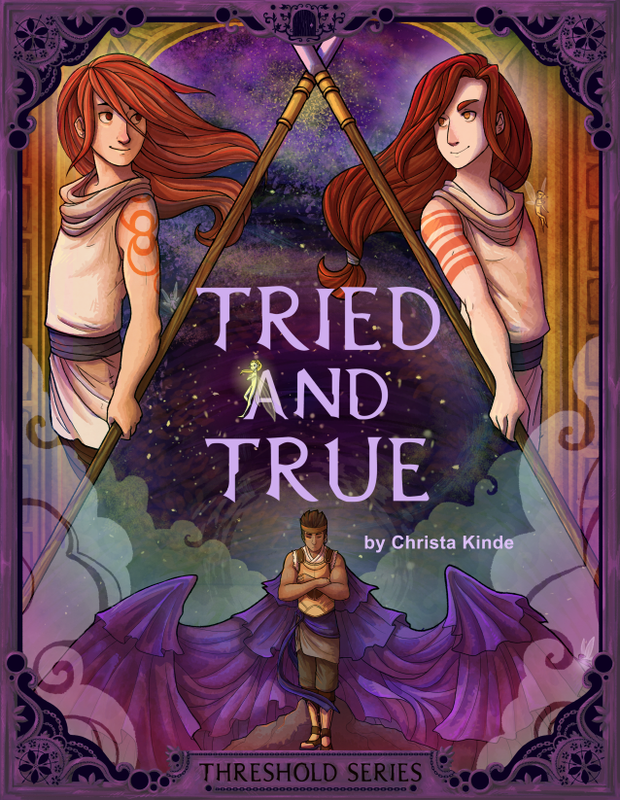 But when Kester finds a harp in the treasury, a song brings him to the king’s attention. The boy soon begins a new collection: sage words from the man whose name means peace. The proverbs of Solomon. Herald Angels ♦ Before Harken could become the wise soul you know from the Threshold Series, he needed a mentor and a Teacher. Little moments in the life of a little boy who had his own reasons for thinking of Gabriel as special. 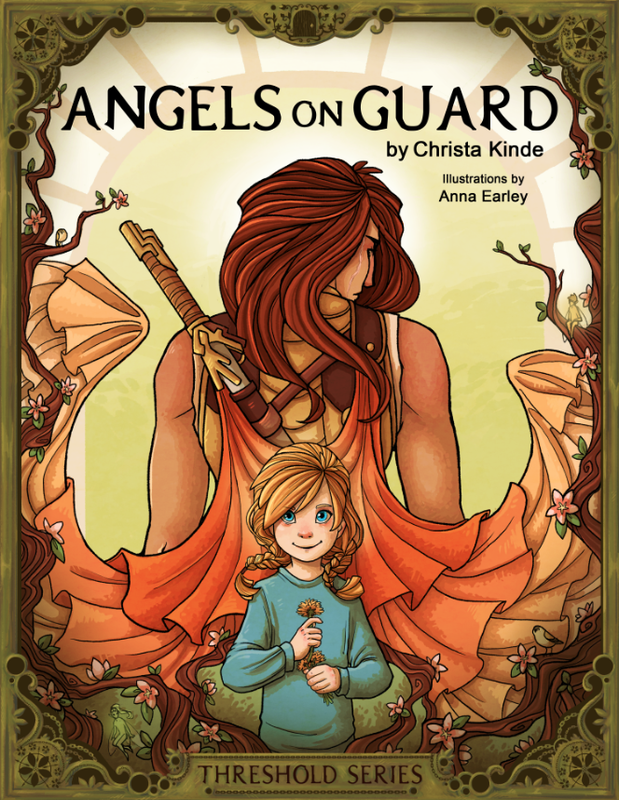 Angels on Guard ♦ Guardian angels must guard their hearts, or they’ll be tempted to Fall. Even after three years, Prissie Pomeroy’s guardian angel only understood part of what it meant to watch over one precious life. The rest he learned on the day he almost lost her. In this companion story to the Threshold Series, scars are bared, fears begin and end, and angels fall. FREE FROM ZONDERKIDZ: More details here. 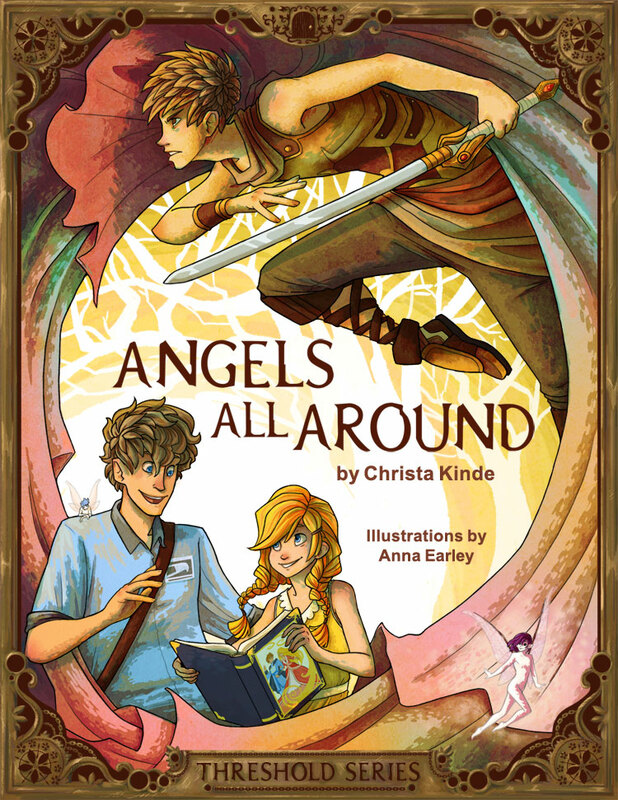 Angels All Around ♦ When she was seven years old, Prissie Pomeroy fell in love with the mailman. Angels and demons collide over West Edinton, a small town where not everyone is what they seem. 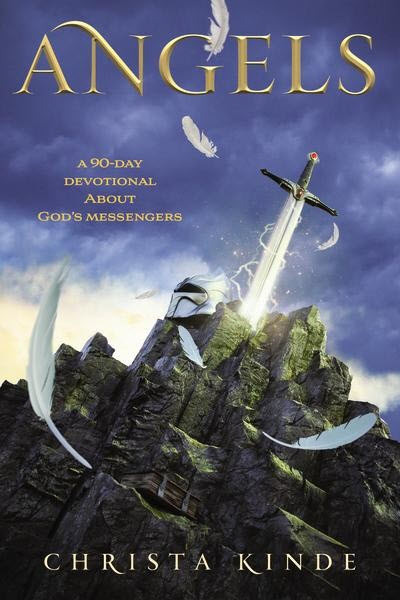 In this companion story to the Threshold Series, a divine Messenger becomes one little girl’s prince, and a fledgling Guardian becomes their knight. Illustrated by Anna Earley. FREE FROM ZONDERKIDZ: More details here. 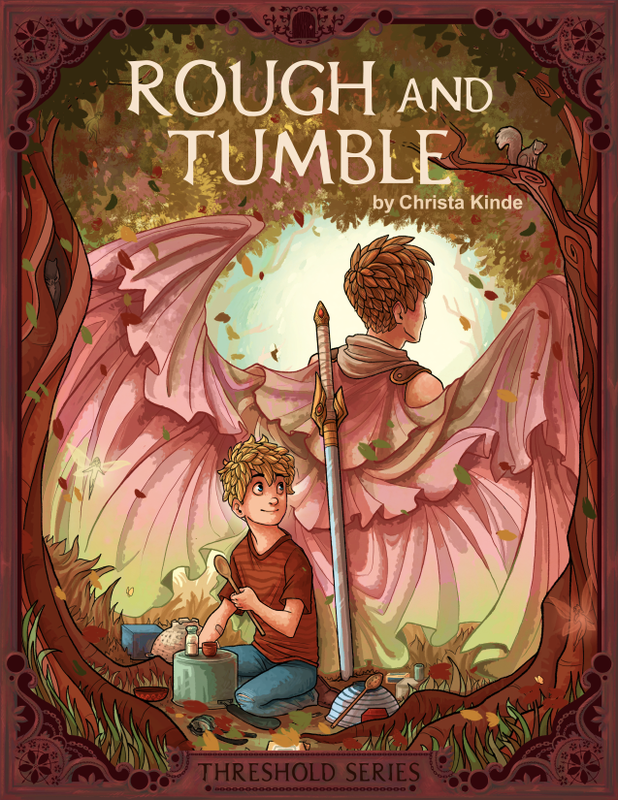 Angel Unaware ♦ Marcus had never been a typical cherub. Raised on earth instead of in enclaves, he blended right in with humanity. The perfect Graft. But what Marcus wanted more than anything else was to become a warrior. So he asked God for a mentor. Marcus gets his armor fittings and swordsmanship lessons. But he also ends up with a couple of well-meaning foster parents, three nosy siblings, a lonesome landlord, and a new best friend. 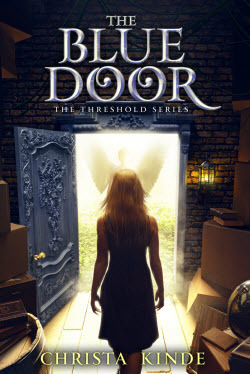 Threshold Series, Book One: The Blue Door ♦ On an ordinary afternoon in late July, Prissie Pomeroy stumbles into an adventure on her way to the mailbox. Koji—a strange boy in shining clothes—claims to be an angel, and she’s stunned to learn that there are others living and working in her hometown. None of them can explain why she’s suddenly able to see the unseen, but with God, nothing is impossible. Koji and his teammates answer her questions, change her perceptions, and strengthen a faith she’ll soon need, for danger lurks in the darkness. 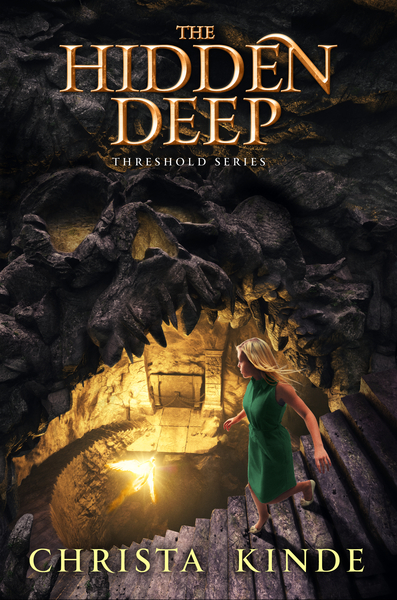 Threshold Series, Book Two: The Hidden Deep ♦ Harvesttime is in full swing when Prissie Pomeroy learns that something terrible happened in her family’s orchard. With school back in session, the rift between Prissie and her friends widens while Ransom gets on her nerves. As Koji and Milo introduce Prissie to the rest of Jedrick’s Flight, she’s drawn increasingly deeper into their world and closer to its dangers. A kidnapped apprentice suffers. A chained door bodes ill. A tiny angel makes a big difference. Everything Prissie thought she knew is about to change… again! 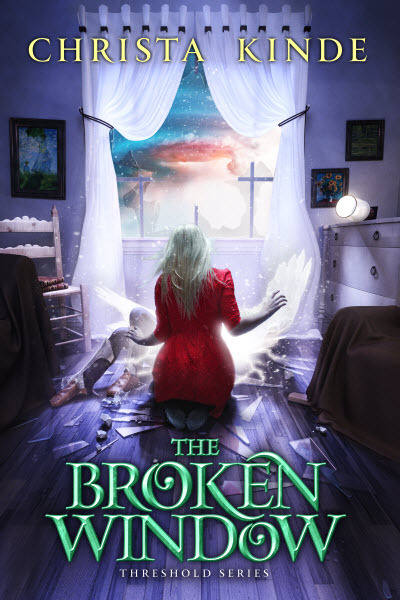 Threshold Series, Book Three: The Broken Window ♦ Christmas is right around the corner, and Prissie’s gift list has expanded to include an entire Flight of angels. As she searches for the perfect presents for her friends, she learns that good ones can come in unexpected wrappings, great ones come at a high price, and the greatest gift of all is still free. 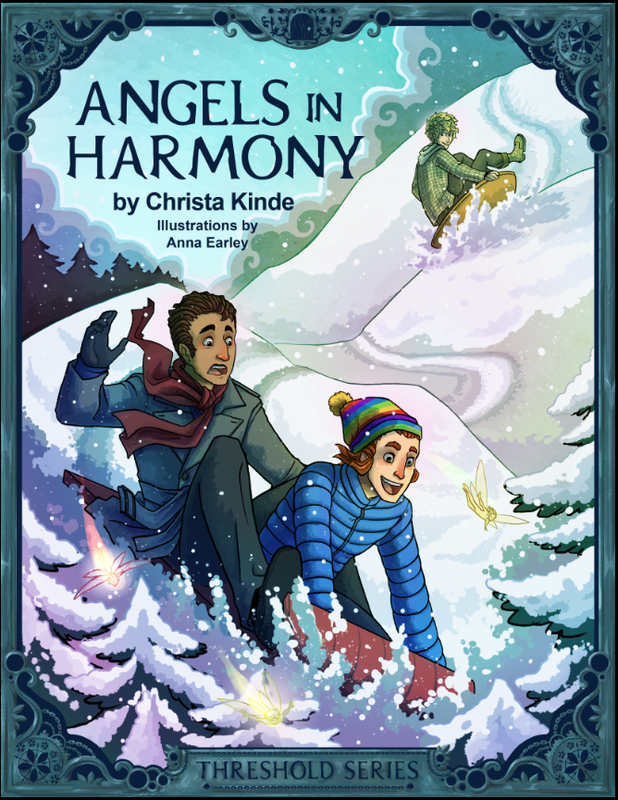 Angels in Harmony ♦ Angels have always served in pairs, but Baird is sure there must be some mistake when Kester shows up on his doorstep. The vividly energetic redhead couldn’t have been more different from his genteel new apprentice. Yet their rocky beginnings give way to a unique balance, proving that friendship can flourish in the unlikeliest of places, given time, trust, and the Twelve Days of Christmas. FREE FROM ZONDERKIDZ: More details here. 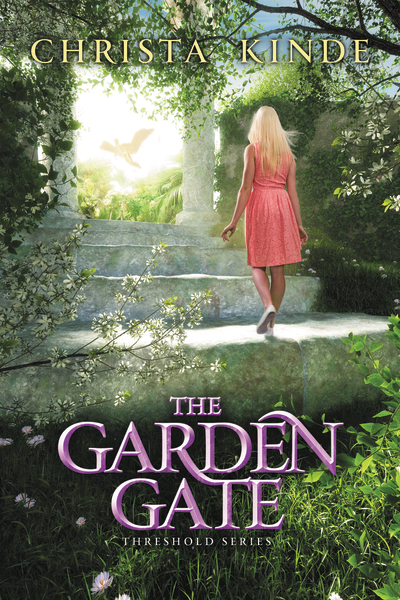 Threshold Series, Book Four: The Garden Gate ♦ The Pomeroys pull together in the aftermath of the storm that shook her hometown—and Prissie’s faith—to its very foundations. Letting go proves difficult, and holding on takes all of her courage. As spring comes to the orchard, a cryptic remark from Abner hints at West Edinton’s long-kept secret. While ranks of the Faithful rally to defend what’s most precious, Prissie discovers that angels aren’t the only ones who are Sent. Most of my titles are available in print and digital editions. Be sure to follow me on Amazon & GoodReads, because they’ll let you know about new releases and sales!